A female founder disrupting a male-dominated industry, Jean launched Sweeten in 2011 to bring trust, transparency and technology to the $320B residential renovation industry, helping people create a space they love. She is a trained architect who spent a decade in design and construction, including at Coach, where she won the Chairman’s Award for designing web platforms to streamline retail construction worldwide. After a challenging renovation of her own home, she saw the need for a free service to be an expert source on renovation and match renovators to vetted general contractors. 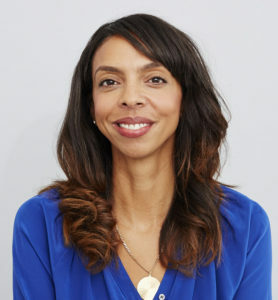 Just as Sweeten sets new contractor standards, Jean is redefining traditional barriers for diversity and women in tech as co-founder of the African American Student Union (AASU) at Harvard’s Graduate School of Design, and one of a select few African-American female entrepreneurs to raise $1M+ in venture capital.